We now declare Farmer Phil’s Festival 2018 OPEN! 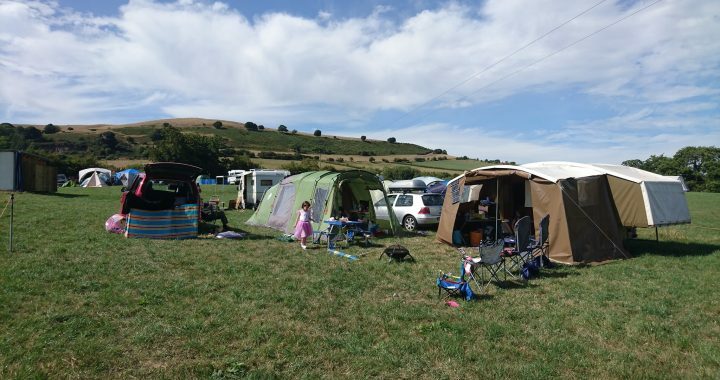 On what has been a lovely day in the Shropshire Hills, we’ve welcomed our first campers of the week as keen festival goers arrived on site throughout the day. It’ll get busier and busier as the week progresses and more and more traders, entertainers and artists arrive for our special 20th anniversary weekender. Photo courtesy of Kev Lloyd on Facebook. Posted in News and tagged 2018, 20th anniversary, Ticket information.